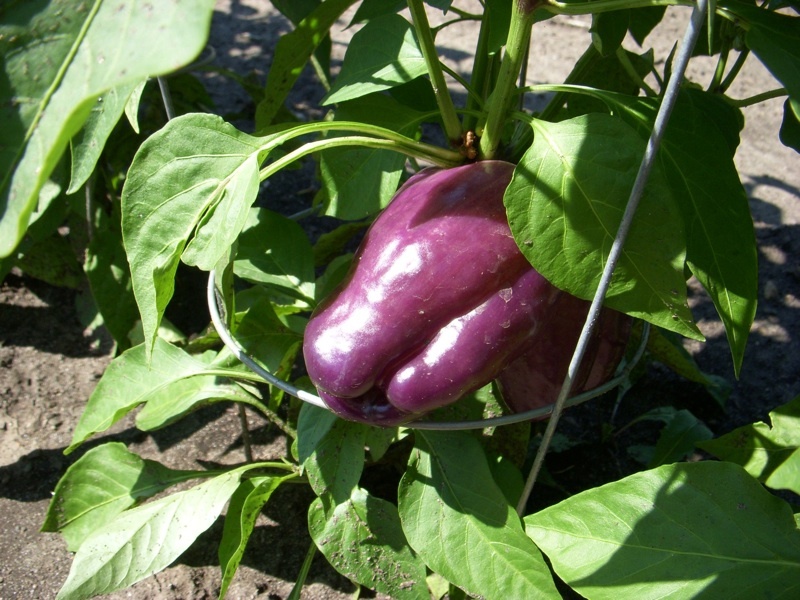 Purple Peppers contain a powerful antioxidant, anthocyanin – the same antioxidant found in blueberries. Farm News: Well, a mixed blessing with the lack of rain is that the mosquito population has temporarily decreased. We are also really appreciating being able to breath easier without the “thick air” the humidity delivered a few weeks ago. Adán, our 4 year old, has also been playing and helping in the field since the cooler temperature made its presence. This week the fall lettuce and kale will be transplanted. Turnips and spinach were direct seeded as well as the cover crop in some parts of the field. Last but not least we saved peas for seed! Eggplant. 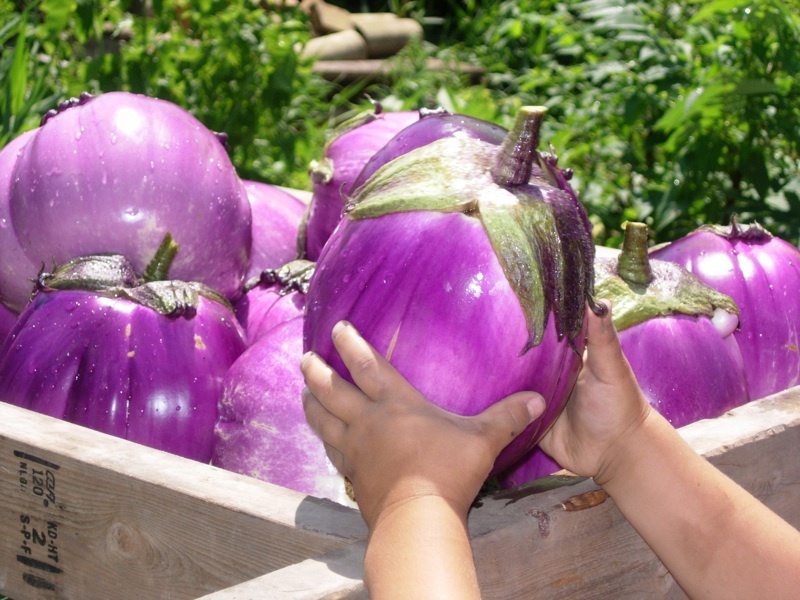 This beautiful veggie is great on the grill – just Google “grilled eggplant” for some tasty recipes. Farm News: The last couple of days (August 5th and 6th) the weather has felt amazing since the drop in humidity. We look forward to fewer mosquitos too and gentle rainfall; it missed the farm last week. So we continue to water the last of the fall brassica transplants, direct seeded crops and thirsty plants by hand. Which also means that we are preparing for the second half of the season.